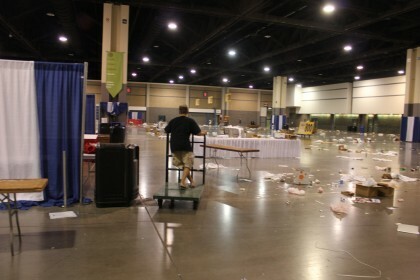 THE HEROESONLINE BLOG | HEROESCON 2011 :: REPORTS, PHOTOS, VIDEOS & MORE! HEROESCON 2011 :: REPORTS, PHOTOS, VIDEOS & MORE! Thanks again everyone for making HeroesCon 2011 so great! Here are some links to what others saw and did at the show. More memories and photos from HeroesCon 2011 to come! Next year is our 30th anniversary show, don’t miss it! Wook Jin Clark: Heroes Con 2011 Wrapup! Jamie Cosley: Heroes Con = Best Con Ever!!! Team Cul de Sac: Heroescon update!